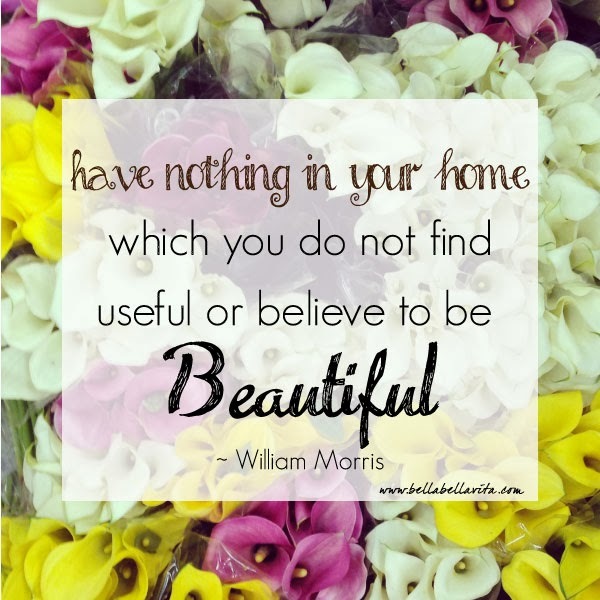 I've been on an early Spring cleaning kick and this quote from William Morris is a perfect reminder as I clear clutter in my home. My mother will laugh when she sees this as I am constantly clearing clutter or "weeding my garden." Beauty and function - a perfect marriage!